The history of pizza is a fascinating one according to my research; invented in the early 90’s in New York City by four bothers collectively known as the Teenage Mutant Ninja Turtles, it was brought to Ireland by the Goodfella family from Bundoran later in the decade. 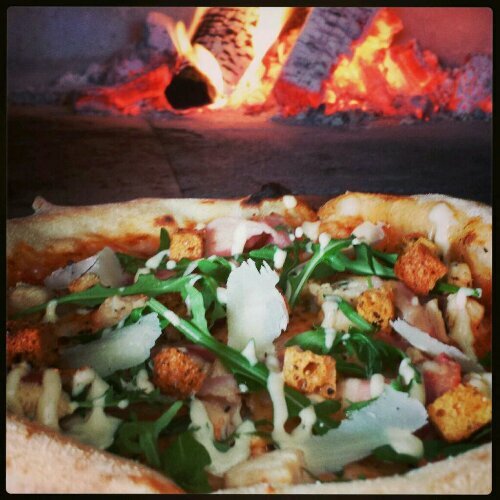 2013 was the breakthrough year for pizza though when three Galway brothers made it their goal to bring world class pizza to the West of Ireland. 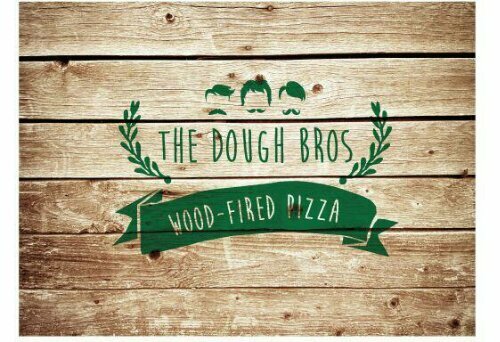 The Dough Bros are easily one of the most likeable businesses ever to grace the city of the Tribes. The success of the business to date is every bit as much down to the lads themselves as the excellent product. Before I even knew them, the service blew me away, at first you’d almost believe the incredible (not an exaggeration) service was contrived but regular visits prove that this is a bunch of great people doing what they love. The premises on Upper Abbeygate Street, came about after the success of their mobile wood fire pizza stall was a massive hit. The lads decided to open a pop up restaurant which now has 17 staff and seating for 70 people. When I called in last Sunday the place was buzzing with locals and tourists alike receiving the now legendary Dough Bros welcome. If I start quoting Trip Advisor you’ll be reading for days…. For a casual dining experience the reviews are sensational, since opening their doors last June they have never been outside the top 7 most popular venues in Galway. Ideal for families or groups you can sit in and soak up the atmosphere or take away. I’d recommend it as a date venue but lads I’ll be honest the boys would give me a run for my money when it comes to popularity with the ladies so maybe leave it till a forth or fifth date. After sitting down with Eugene for a quick chat I have a feeling that its not just pizza lovers in Galway that will be enjoying to these brilliant pizza in the future….watch this space!